Anyone who’s ever hiked a trail or climbed a peak or shoveled a sidewalk knows that the clothing you wear while doing these things are second only in importance to the actual physical condition of your body itself. To help your body stay dry and keep your temperature regulated, your clothing makes all the difference. And the most important key to staying dry and keeping your temperature regulated is actually quite simple: Layering. That’s because breathability is vital to achieving the desired results. You need 100% breathability. The same principles apply to footwear. In order to keep your feet dry and warm (or cool), you need a product that provides 100% breathability. Sympatex membranes, which are so effective that they are used in the leading brands of outdoor footwear – including Carhartt, Timberland Pro, Thorogood, and Golden Retriever – do exactly this. When it comes to layering, the outer layer most important. This is true for both clothing and for footwear. Not only does it have to allow perspiration to escape, but it has to keep out the cold and wet. Sympatex recognizes this, which it why it focuses on this outer layer, which is 100% waterproof, 100% windproof and 100% breathable. The Sympatex membrane’s secret is found in its construction. It is a nonporous membrane, so it functions according to physiochemical principles. The hydrophilic (water-attracting) elements of the membrane pull moisture (perspiration) off of the foot, and transfers it from the inside to the outside of the membrane. All the while, the Sympatex membrane is adapting to the increasing levels of activity, so as you exercise and perspire more, breathability increases. And at the same time, the nonporous structure of the Sympatex membrane is keeping water out, so it never reaches your foot. This is the very definition of waterproof, and it’s the definition of what Sympatex provides. But as you know, keeping water out is not the only issue. Wind and cold weather can cause just as much discomfort. But the Sympatex membrane treats these hazards the same way as water – it keeps them out. The nonporous membrane is so small on a molecular level that it allows perspiration to exit, but doesn’t allow moisture, wind, or cold to enter. This all adds up to optimum climate control and dryness. Sympatex also understands that those who like to enjoy the outdoors place a priority on protecting it and keeping it clean and viable for generations to come. That’s why Sympatex is also a pioneer in environmental protection. So not only are Sympatex membranes 100% breathable, 100% waterproof, and 100% windproof, but they are 100% recyclable as well. Basically, they’re 100% what you need in every area. 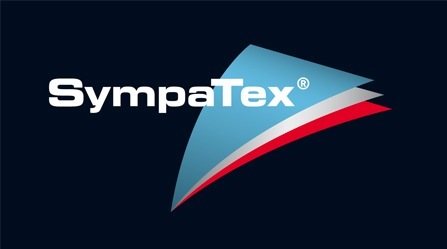 Workingperson.com is proud to carry Sympatex products.